The month of February may bring to mind many things, such as Valentine’s Day, flowers, candy, and a special dinner or meal with a significant other. Special holidays may generate special memories and special expectations. There may be times when we feel the pressure to perform or to demonstrate our love and commitment to one another. Here at the National Training Center we demonstrate day by day our “tough” love through loyalty and commitment to our spouses, our families and our country. At the NTC, our leaders, our Soldiers, our civilians, and our family members are what make this place America’s premier combat training center. This is the place where we train, test and develop America’s future Army teams and leaders at all echelons. We put them through the crucible to develop their characters and competencies to the highest limit possible. One thing is for certain in this uncertain world, we will not stand down until our enemy is defeated. We do all we can at the NTC, in a collaborative effort, to insure that America’s sons and daughters are the best prepared and have the best leaders and experience to fight the next battle and win wherever it may be. This high intensity requires trustworthy and resilient battle buddies and family members, “tough love.” This sustained intensity requires focus, balance, commitment, camaraderie and community. 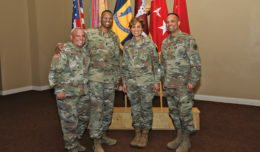 One of the ways the Army supports its Soldiers and family members is through medical and dental support. In this month’s paper you will find an article on Children’s Dental Health month. We want to help you keep your children’s smile healthy and we want our future generations to be academically successful. 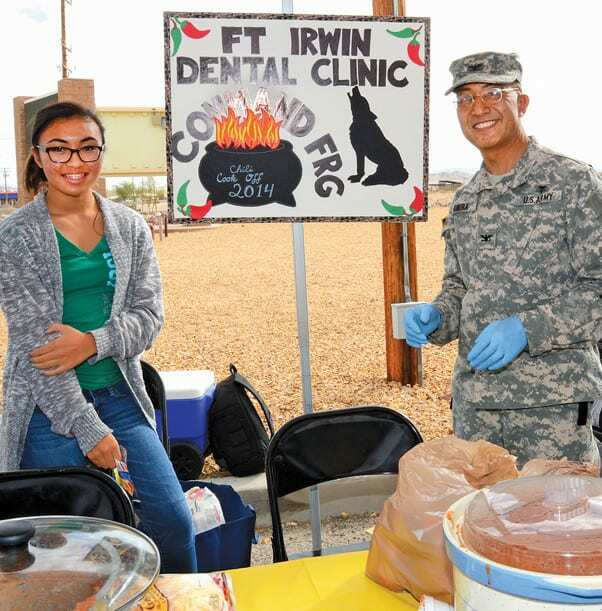 Similar to last year, the Dental Clinic Command will be teaming up with Fort Irwin schools to perform dental screenings to help you stay informed on your child’s dental health. 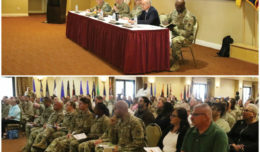 In this month’s paper you will also find some of the great Department of the Army civilians who have been recognized and rewarded for their commitment and professionalism to our Army here at the NTC and Fort Irwin. Every day our DA civilians make that trip down Fort Irwin road to serve our country here at the NTC. Thanks for all you do as Soldiers, civilians and family members. Thanks for your tough love in this harsh, but beautiful desert. 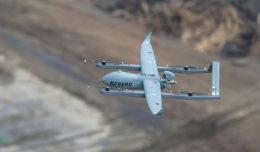 Thanks for your resiliency and your patience as we train, re-train and develop future combat teams that protect and guard our future way of life.